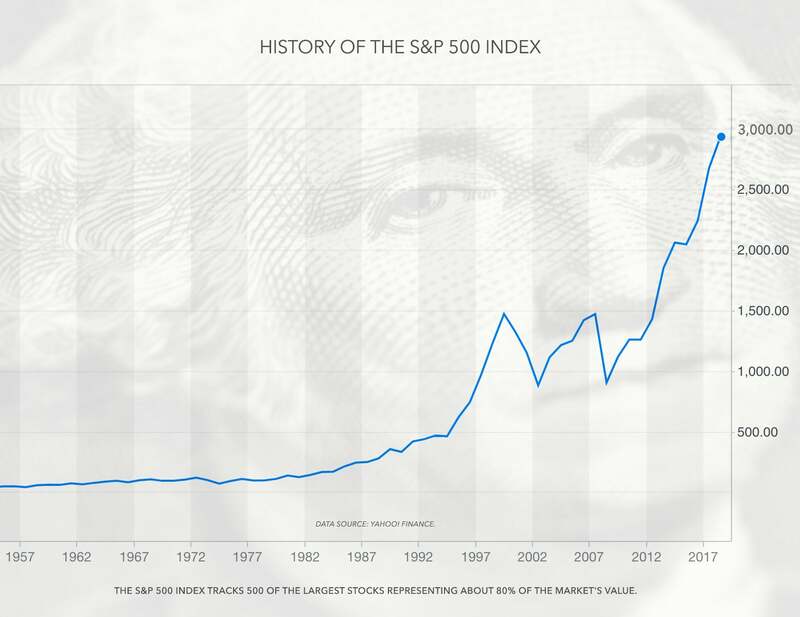 "Thanks to compounding returns (when your investment returns start generating their own returns and so on), money invested early can grow exponentially over time." With all the jargon, analysis and daily price fluctuations, investing can seem like an impossibly complex endeavor. But it doesn’t have to be. You can keep your investing style sweet and simple and still stand a greater chance of achieving your financial goals than if you’d stayed on the sidelines or tried to beat the market with active trading. When you’re young, it may seem like there are more immediate financial priorities—like paying off credit card and student loan debt—than investing. But waiting to invest can cost you. It’s crucial to do all you can to make even just a little room for it in your budget. That’s because you have one key advantage when it comes to investing: time. 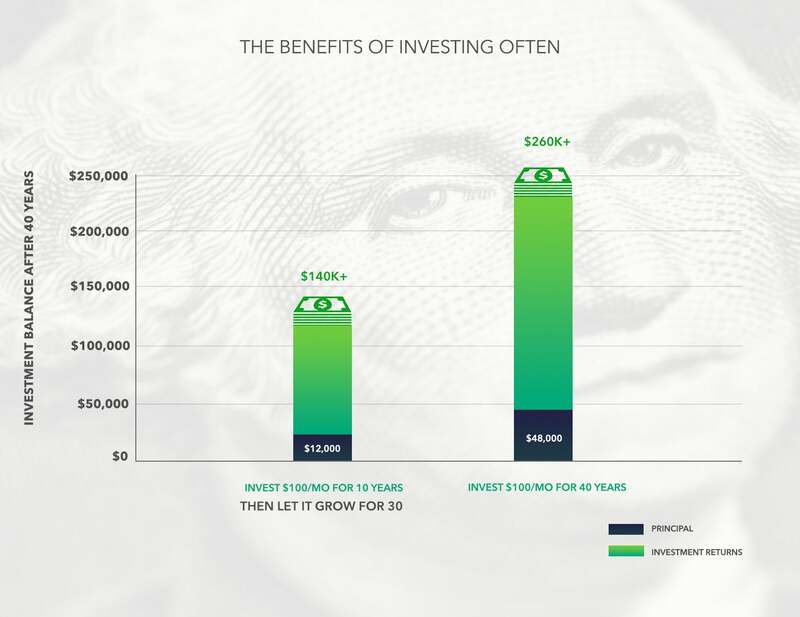 Thanks to compounding returns (when your investment returns start generating their own returns and so on), money invested early can grow exponentially over time. Consider the numbers: Let’s say you want to have $1 million by age 65. If you start with just $100 at 55, you’d need to invest almost $5,800 a month to achieve your goal (assuming a 7-percent average rate of return). With an extra 10 years to invest, you could drop that to about $1,900 a month. 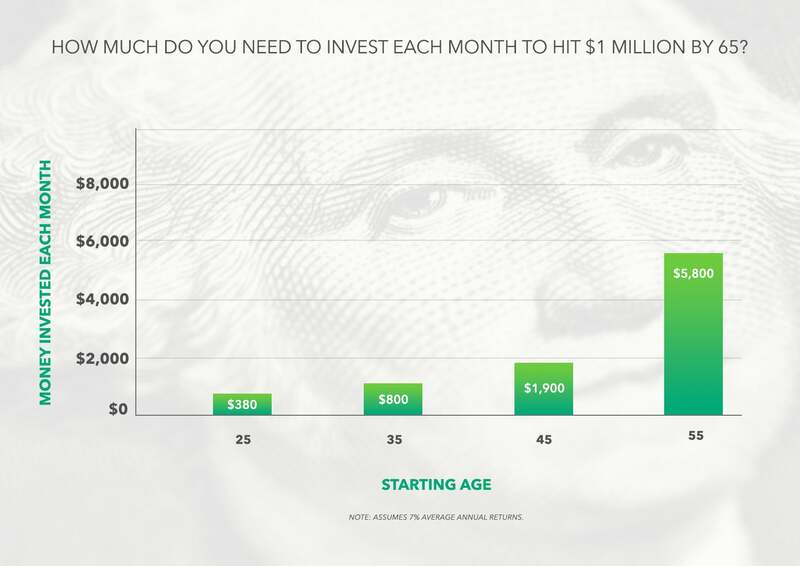 Giving yourself another 10 years and starting at age 35, you’d need to invest just over $800 to reach your goal in time. But start at 25, and you only need $380 per month in order to hit $1 million by 65! Stretching your budget to start investing early can help take some pressure off your future self, even affording you the flexibility to put a pause on saving at some points along the way. That’s because the amount you accumulate can keep working for you even if you need to take a break from saving. But you’ll be even better off with consistency. Again, look at the math: If you spend 10 years investing $100 a month in a mix of stocks, you wind up with about $17,500, given an average 7-percent annual return. Without adding another cent, that amount would grow to more than $140,000 over the next 30 years. But if you can keep up saving that $100 a month for the duration, your savings would stretch to more than $260,000. Once you develop these good habits and devise a strategy for how to reach your goals, stay the course. Plenty of headlines—the president’s latest tweet, another interest rate hike or something else altogether—can push the market one way or the other in the short term. But in the long run, historically, the market has always headed up. If you’re properly diversified with a broad mix of stocks and bonds, you should be well-prepared to ride out all the bumps you’re bound to experience along the way.